When in Las Vegas, make a side trip to see Hoover Dam in Boulder City, approximately 50 minutes away. 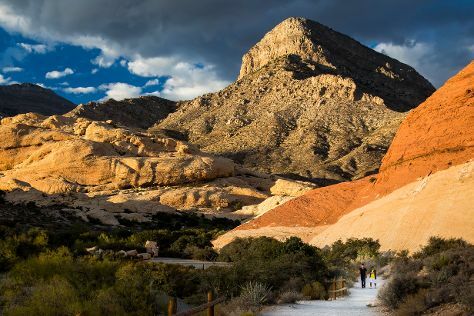 There's lots more to do: explore the striking landscape at Red Rock Canyon National Conservation Area, try your luck at Casino at the Venetian, take in nature's colorful creations at Bellagio Conservatory & Botanical Gardens, and get a taste of the local shopping with The Strip. To find maps, reviews, ratings, and more tourist information, go to the Las Vegas road trip planning tool . In June, daily temperatures in Las Vegas can reach 103°F, while at night they dip to 77°F. Finish your sightseeing early on the 13th (Thu) so you can travel back home.